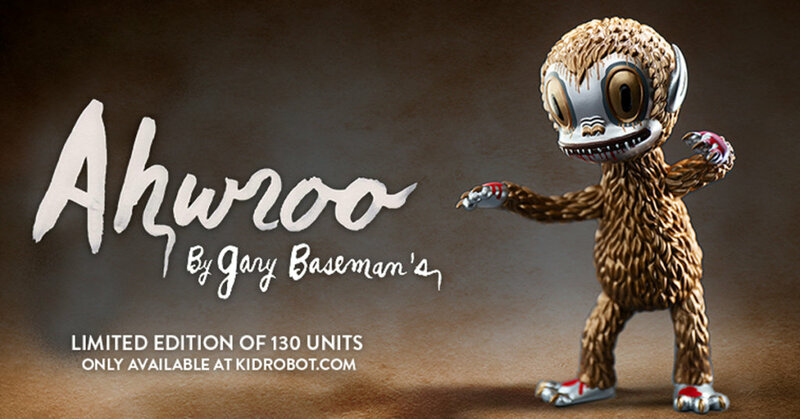 Metallic Ahwroo Exclusive by Kidrobot x Gary Baseman! We brought you news earlier this month that Gary Baseman was working on a release of Ahwroo with 3D Retro (read HERE). It turns out that one of the new colourways will be an exclusive Metallic Ahwroo released by Kidrobot! oh, and it releases in FIVE minutes! This exclusive Kidrobot release will be available at 5pm GMT today over on the Kidrobot online store HERE. Ahrwoo stands at 7.5 inches tall and is limited to only 130 pieces, and these will no doubt sell out super quick. So get your F5 fingers ready! No details on price but will update when known.